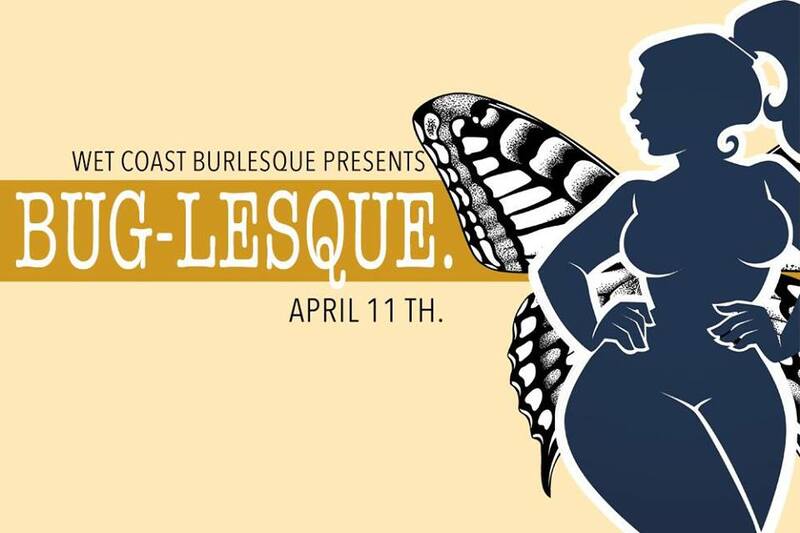 Wet Coast Burlesque Presents: Bug-Lesque! They pollinate our flowers, they keep the forest healthy. But did you know that they can also shake it? Join us this month for this fun and light-hearted theme! A monthly burlesque revue held at the Victoria Events Centre, Wet Coast Burlesque showcases local performers and artists while creating a supportive and welcoming environment for creative, progressive, and fun-loving adults. We thrive on artistry, empowerment, self-love, and taking every opportunity we can to celebrate life! We are advocates of the stage and all its people: the movers and shakers, trail blazers and heavy hitters, shimmiers and promenaders. We promise to host shows that will leave you inspired, energized, sparkly-eyed, and at least a little glittery. **Hosted by the one and only delectably devilish – CHARLIE CREAMFILL! This event takes place on the unceded and traditional lands of the Lekwungen peoples. Doors 7:30, show at 8:00. *Tickets are general admission. To secure seating please arrive as close to doors as possible! * The Victoria Event Centre does not currently have an operational elevator, and there is one long flight of stairs at the venue entrance. If you would like to attend the event but require assistance with accessing the space, please contact us at events@victoriaeventcentre.ca and VEC staff do their best to accommodate.